Since “Creatures of Appetite” was a fast read, I think I’m going to give it a fast review. It’s going to be a 5-compasses review nonetheless, because I must admit that it surprised me more than I thought it would. I picked it up after reading some reviews on Amazon and seeing that many people recommended it for the unexpected twist at the end. I could never resist a book (especially a crime novel) that promised to deliver a completely unpredictable conclusion. So there I was, one afternoon, downloading “Creatures of Appetite” on my Kindle and starting to read it not even thinking that I wouldn’t put it down until I finished it. The plot and characters are just as you’d expect them to be in a thriller novel. You’ve got fast-paced action, a good detective (Emma Kane), a difficult and sometimes downright annoying profiler (Jacob Throne), and a series of gruesome murders. I guess the first twist is when Thorne says there are actually two murderers. But if the first one, who is a copycat, is pretty easy to catch, the real one is more calculated and makes Emma’s and Jacob’s lives difficult. No, as a reader you won’t guess who the murderer is before Jacob Thorne puts two and two together, but that’s not what makes “Creatures of Appetite” stand out in its genre. 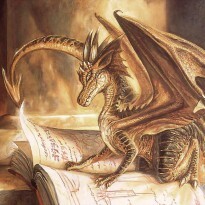 What makes it really worth reading is on the very last pages. I was so caught up in the action, and maybe a bit disappointed that I had already reached the last two pages of the final chapter and no incredible twist seemed to had happened, that I almost missed it. In only four or five paragraphs the author managed to turn everything upside down and make me reconsider most of what I had read. 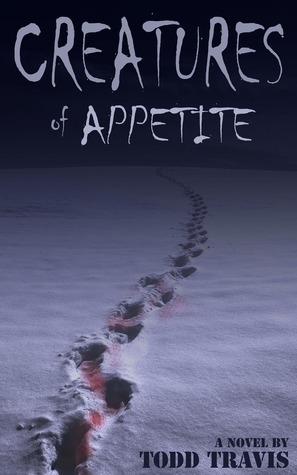 “Creatures of Appetite” is centered on the Heartland Child Murders and the Iceman, as the murderer was nicknamed. But there’s another unsolved case looming in the background – the Mercy Killings and the infamous Kevorkian who is yet to be caught. The only reason for which Jacob Throne accepted to work alongside Emma Kane to catch the Iceman was because he was promised he’d be allowed to work on the Mercy Killings again. I must admit I didn’t pay much attention to the mentions of the Kevorkian while reading the novel, but after what happened in the last few paragraphs of the last chapter, I can only hope that Todd Travis will publish his next novel soon enough, and that it will be centered on the Kevorkian.